What to have security or safety lighting and do not have access to an electric source, try some outdoor solar path lights to get you where you need to go after dark. They are simple to install and require little or no work after you have them installed. There are several styles and types to choose from, I will look at several examples in this article. 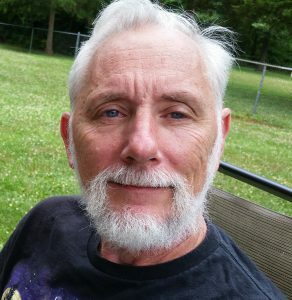 I will look at sets and individual lights in this article for solar lights that will just be a snap to place and wait for the sun to charge. If you have an area that does not get a lot of sun during the day, you can also get a set of lights that are powered by remote solar panels. This style is a little more restrictive, as it has to have a wire between the fixtures that runs back the solar panel. The four main components of a solar light are the solar panel, dusk to dawn sensor, rechargeable battery and the LED bulb. The post type fixtures will have all three in the top with a reflector for the light in the globe portion. The solar panel uses the suns rays to produce movement inside the solar panel, this movement produces a small amount of electrical current. This current is passed through a diode (only allows current to flow in one direction) to a rechargeable battery. A sensor, normally found on the solar panel, will turn on the power on between the battery and the bulb. The bulb will be illuminated for the amount of time that the battery has been charged during the day. The light will get dimmer for most fixtures before it goes completely out, If your fixture is getting plenty of sun and is not coming on or staying on just for a short time, look at some of my solutions here as there are many sizes and styles of batteries. 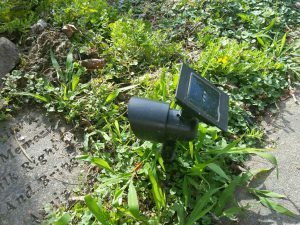 Solar path lights that are just on a stick with a solar cell on the top are the most common, see my article on types of solar panels here. They have very many styles and shapes. Colors and materials will vary from vendor to vendor. Most are either round or square to match the solar cell that is on top. You can buy them one at a time and have several varieties in each area or in sets that match. You do not have to worry about having a place to hide the cable or the power box. I have solar lights on the top of the post on my side deck. These give off enough light to let me use this deck after dark without using any house lights. These are simple post lights that I drilled a hole in the caps of the post the size of the fixture post to attach them. 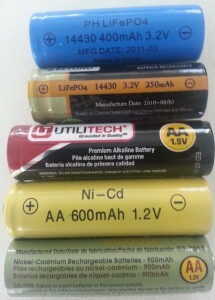 I have had them out there for several years and have had to replace the batteries once, see my article on replacement rechargeable batteries here. I also rotate the position of the heads to extend the battery life because they all do not get the same amount of sun during the day. Solar spot lights that attach to a tree or house will be able to highlight an area after dark. These type have mounts to attach to a solid surface and the light shines downward to the ground. The tree mounts will allow you to put your lights in an area that does not have any ground space for lights. 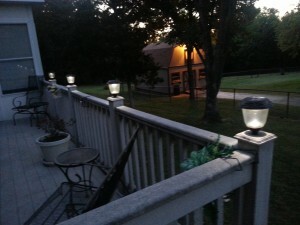 Solar lights are like having cordless speakers for your stereo. As long as you have a source of sunlight you can place them anywhere. The sunlight is the most important factor when purchasing and placing your solar path lights. The batteries will last three to five years with proper charging. No other maintenance will be needed. There will be no cost to use unless you have to change batteries. The batteries should last 1500-2000 cycles if in proper sunlight. Most solar lights will not be as bright as wired 110 volt lights, but most will be as bright or brighter that low voltage lights. You do not have to follow a path or line when placing your solar lights. The only thing you will have to look at is that the solar panel will get from 8-10 hours of direct sunlight each day. Most solar lights come with LED lighting. This type of lighting does not take very much power to operate. The LED will come in many different brightness. Please check the package or information about each light as a regular LED does not shine as bright as a incandescent bulb. Do not think that each set of lights are made the same with the same amount of light. Some research will be needed when selecting the proper amount of light for your outdoor space. 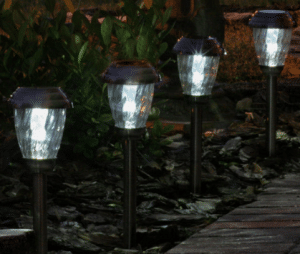 There are many styles and uses of outdoor solar path lights today. I have several styles and types in my outdoor space both at home and at my lake property. They are simple to install, it will only take minutes unless you have very hard ground. The only thing to do after the install is make sure that the solar panel does not get too dirty and replace the batteries every two years or so. The amount of illumination each solar light puts out will determine the amount of lights and placement for your outdoor space. After charging and running your lights for a few days you may need to re-evaluate the placement to get the coverage of light that you will need. Thanks for reading my article, if you found this information helpful, please share on your social networks.